Strawberry Beet Smoothie – this gorgeous dairy free smoothie is a little sweet, a little earthy, a little spicy, and a little tangy. Bulked up with loads of plant protein, minerals, and healthy fats from flax and hemp seeds, it’s the perfect balance of healthy nutrition and yummy treat. Drink it up for breakfast or a midday snack to reenergize. This cleansing drink will leave you feeling refreshed. Bonus: my kids loved it too! Happy New Year, Friends! I know we are already a week in, but welcome to the first post of 2018. Most of my family was sick this past week and I was doing a cleanse due to my massive intake of Christmas cookies, so there wasn’t a whole lot of cooking going on. I was mostly surviving on green juices, smoothies, and very light meals. I usually try to change up my juices and smoothies daily to get a good variety of vitamins and minerals, but I found myself making this pretty-in-pink sip three different times! Super healthy, super delicious, and I’m super excited to share it with you today! It’s no secret beets are good for you. They’re full of healthy nutrients like folate, potassium, fiber, vitamin C, iron, and B vitamins. They have antioxidant and anti-inflammatory properties. And they can even help the body in detoxification. Beets are a root vegetable in the same family as spinach, chard, and quinoa. They are most often eaten roasted or steamed, but they can also be eaten raw, pickled, or boiled. You can even eat the beet greens, so don’t throw those away! You prepare beets much like potatoes – cleaning them well and peeling the skins. Beware that they do stain pretty much anything and everything, like wooden cutting boards, some counter tops, fabric, and your hands! I like to peel them right over the sink under the running water. You can wear gloves if you’re really worried about it, but I find with my method I can wash it off after a few tries. Beets are quite earthy, which most people either love or hate. I don’t particularly love them by themselves, but paired with other flavors to balance, they are delicious. In this Strawberry Beet Smoothie, we have sweet berries, tangy citrus, spicy ginger and cinnamon all mingling with the earthiness of the beets. I used an equal amount of beets and berries, which I think it perfect. My kids love it too. If you are new to beets and are very leery of the flavor of beets coming through, try 1.5 cups berries to .5 cups beets instead and work your way up. Cheers! I hope you love this gorgeous Strawberry Pink Smoothie as much as we do. If you try it, please come back and leave me a comment below with your feedback and star rating. Strawberry Beet Smoothie - this gorgeous dairy free smoothie is a little sweet, a little earthy, a little spicy, and a little tangy. Bulked up with loads of plant protein, minerals, and healthy fats from flax and hemp seeds, it's the perfect balance of healthy nutrition and yummy treat. I used raw frozen beets without a problem. This was surprisingly flavorful, with the bitterness/earthiness of the beets masked well without adding a ton of sugar. Will definitely be making this again. So happy you liked it, India! It’s one of my faves, too! I’d like to try this but only have cooked beets and frozen mixed fruits (blackberries, strawberries & raspberries). Would this work? Hi, Hayley. Yes, the cooked beets will be fine. They will be more liquid than raw, so you may need less milk. Start with 1/2 cup and add more if needed. The flavor will be slightly different from the various berries, but still delicious! Let me know how it turns out! Thank you, Ann!! So glad you loved it! So pretty…I have everything but the beetroot so it’s off to the shops tomorrow to buy some and it’s going to be 37 degrees C : ( so I’ll have to add plenty of ice and sit in the shade. Thanks for the recipe. Thanks, Angela! At first when I saw 37 degrees I immediately thought Fahrenheit since that’s what we use here and had to laugh about your shade comment. It’s been in the 30’s (Fahrenheit) for the last two days here, but after at least 2 weeks of temps in the negatives with the windchill, the 30’s are feeling practically like summer. So, it made sense as a joke that you would say you needed to sit in the shade. LOL! Enjoy your actual warm temps and this yummy sip! I used to put roasted beets in smoothies all the time when I first went plant based, but it’s definitely been awhile. Happy to be back at it! Thanks, Mel! They definitely are balanced well here. I don’t love them on their own either. Love this smoothie! Looks so refreshing and delicious! Gorgeous! I love ALL of the smoothies above. Each one is prettier than the next! What beautiful photography! Over the past two weeks I’ve been slowly adding beets to my smoothies. I used to be worried that the taste would ruin the entire smoothie but to my surprise, beets taste great in a smoothie. Thank you, Charla! I agree – they are a strong flavor, but with the right ingredients – yum! I am crazy about beets and love the color on this. Simply gorgeous. I LOVE the color and I bet my toddler would too! He will eat pureed beets and strawberries are a favorite. Nice that its dairy free too! That’s awesome that your little one likes pureed beets! I bet this smoothie would be a fave! What a fun flavor combination, and I LOVE that hot pink color from the beets! I’m going to make this for Brad. He swears by beets and beet juice. He thinks they are helping his running. Either way, I’m sure this smoothie is delicious! Oh, that’s perfect! I think they help with blood flow and oxygenating the muscles. Let me know what he thinks! Pretty in pink this looks like a beauty! I love beets and berries together and even put them together in parfaits to switch up my smoothie routine. Look forwards to giving this one a try. 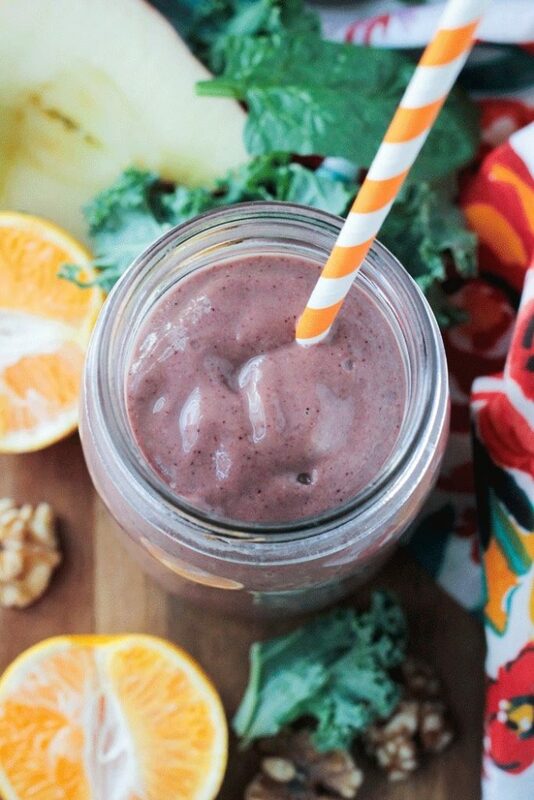 This smoothie is so bright and pink – I love it! I’ve never added beets to my smoothies before but now I have to try! You definitely should try it! They’re so good for you and they make the most beautiful colored smoothies! 🙂 Thanks, Jordan! Wow! 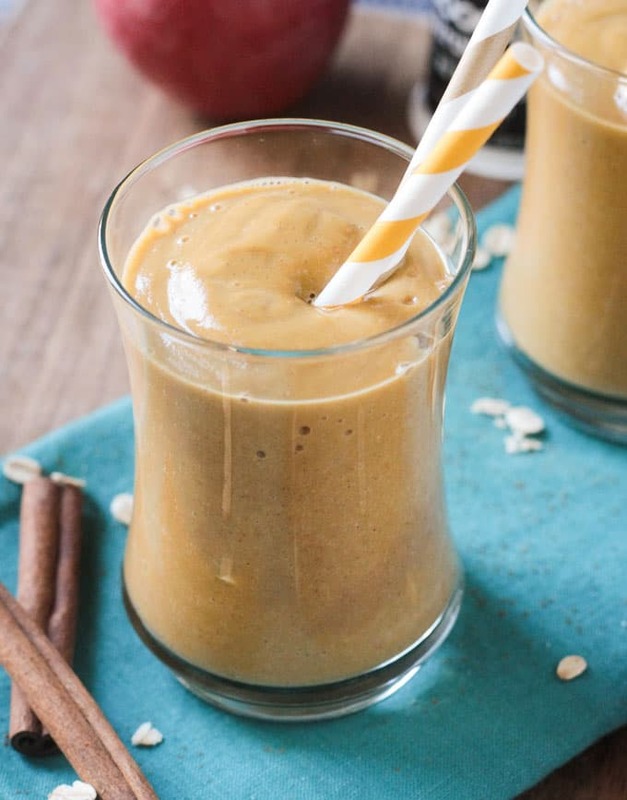 This smoothie is bursting with nutrition and flavor! Sounds delicious! Thanks, Sonali! It’s definitely been my favorite lately. YUM! I always have a smoothie post workout. So refreshing and good! 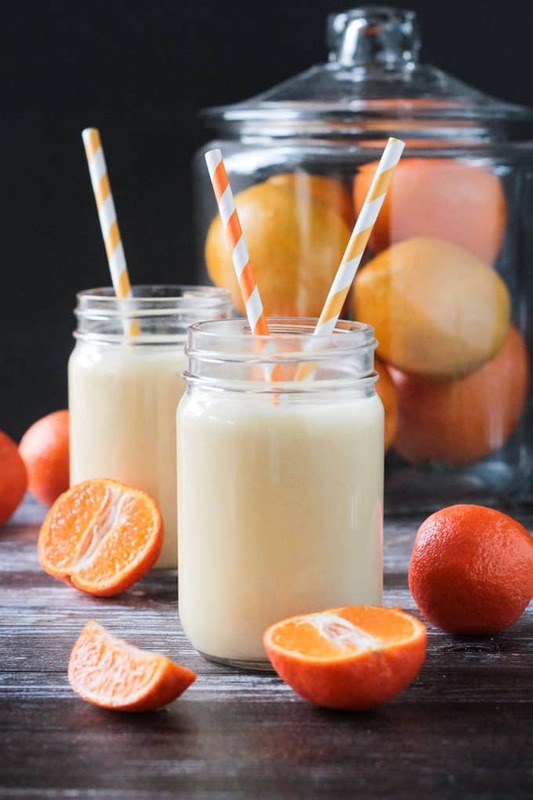 Me too – love a good smoothie after working out. Thanks, Joanna!